For those unfamiliar with the producer Poye ‘Buka’ Robinson prepared to be amazed by both his incredibly inspirational story and also the incredible music that he has produced throughout his career. Poye Robinson is first and foremost an excellent producer who maintains a strong dedication to promoting conscious, positive music not wanting to spread any negativity in the scene. In 2012 Poye totally lost his sight, but has since maintained his dedication to his producing craft. Against all odds Poye continues to succeed with his recent ‘Reggae Bliss’ Riddim being testament to his hard work and dedication to music throughout his career. Join us as we discuss everything Poye Robinson in our latest as we breakdown his origins, achievements, goals and much more. When did you first start to get into music, especially producing music? So following your initial experiences in music when did you first start to take it seriously and realise this was going to be your career? Poye Robinson- “When I was younger I used to run track and field, I reached a point when I had to choose music or track because I couldn’t do both of them. Initially I did choose track and field. Who were some of your big influences when you first started out producing? Poye Robinson- “The RnB and Hip Hop market has always inspired me, artists like Ginuwine, Usher, Ja Rule, those types of artists influenced me when I was starting out. Most of the songs I wrote were not reggae songs. Following the lose of your sight in 2012, how, against all the odds, have you managed to continue make incredible music and what are some of the effects that this has had on your career? Poye Robinson- “To be honest it has effected me negatively and positively. Everyday things are a lot more difficult if I want to do something, I want to go to a show, I can’t do it immediately I have to plan it out and make sure that someone is accompanying me. What is the creative process behind your producing and has it changed at all since you lost your sight in 2012? Poye Robinson- “To start I don’t mix the song. I come into the studio with an idea, I want a riddim to sound a particular way, I go to the engineer and describe to them the feeling I want the riddim to have. The engineer then creates the riddim and I give advice on where on want different sounds, I might say I want a guitar here, I just try to get the idea of what I want to achieve across to the engineer. If I am producing with live musicians I will try to direct them to how I want the riddim to sound, I might say go faster here or slower. What was the aim with your latest project the ‘Reggae Bliss’ Riddim? Poye Robinson- “I put out this riddim to combat the dark, violent music that is big at the moment. I wanted a happy riddim, a real feel good riddim that felt bubbly. So I came up with the idea for the ‘Reggae Bliss’ Riddim. I decided I wanted something to make people feel good, so I specifically picked a list of artistes I wanted on the riddim. 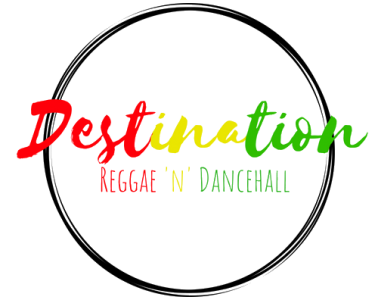 Unfortunately I wasn’t able to get voicings from all of the artistes on the original list, but the artistes that were added definitely delivered the feeling I wanted the riddim to have”. When you got these big names in the industry to voice on the riddim, did you make sure that you were in the building whilst they were recording? Poye Robinson- “I love to be in the studio when an artist is recording on a riddim, only 2 songs on the ‘Reggae Bliss’ Riddim I wasn’t in the studio when they were recorded which were Queen Ifrica and Luciano’s voicings. Has the riddim received the reception that you had anticipated and hoped for? Poye Robinson- “75-80%, I love all 10 songs on the riddim, the Queen Ifrica, Junior Kelly, Duane Stephenson, Richie Spice and a little bit the Luciano track are all hot songs right now, I would have hoped that the whole riddim would have been as successful as these track have been individually”. Looking towards your next project is it going to be something similar to the ‘Reggae Bliss’ Riddim?